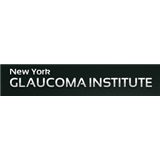 New York Glaucoma Institute (New York) - Book Appointment Online! The New York Glaucoma Institute was established in 2005 by Dr. Irina Pankova. Since then she was able to build up a highly professional team of doctors and medical staff. Our office is conviniently located in Brooklyn. You will be welcomed by our friendly personnel. Our goal is to provide you with the personal attention and high quality care that you deserve. We value personal time of our patients very much and constantly working on reducing your waiting time. To help you to use it in most efficient way there is a guest Wi-Fi service available to you. Overall it was a good experience, however, their credit card machine was not set up yet. Even though this is a new office, it's strange to start accepting patients if you can't process their co-pay. Once they figure out the initial set up obstacles I have no doubt they'll be a successful office.